This article explores the meaning of the phrase “high . . . Misdemeanors” in the Constitution’s Impeachment Clause. It concludes that the phrase denotes breaches of fiduciary duties. Why have commentators not deduced a clearer standard? Perhaps politics has gotten in the way. Most modern commentary dates from the time of the Nixon and Clinton impeachments and seems influenced by whether or not the author wanted the incumbent president impeached and convicted. A more fundamental problem may be the methodology employed. Writers have attempted to deduce standards from charges in English and American impeachment cases decided from the fourteenth through the twentieth centuries; Professor Raoul Berger’s authoritative 1973 book on the impeachment process is the premier example of this methodology. However, most of the cases examined are not particularly probative of the Founders’ understanding. Those decided after the Constitution was ratified, of course, had no effect on their understanding. The value of early cases—those arising before the eighteenth century—is compromised by the fact that the goals and values driving the impeachment process changed over time. To recapture the founding generation’s understanding of “high . . . Misdemeanors,” we do best to limit ourselves to the events and literature of the eighteenth century. We should take heed of earlier proceedings only to the extent authors influential during the founding generation relied on them. I must qualify in one respect my statement about the unsatisfying nature of prior explanations of “high . . . Misdemeanors.” In a 1975 study, two practitioners, E. Mabry Rogers and Stephen B. Young (later Dean Young, of the Hamline University Law School), concluded that the term meant “breach of fiduciary duty.” I believe that conclusion to be precisely correct. This essay marshals additional sources to demonstrate why it is correct. Despite the differences in vocabulary, eighteenth century British sources display a close connection between impeachment and violation of fiduciary duty. For example, Parliamentary articles of impeachment explicitly and repetitively described the accused’s conduct as a breach of trust. Thus, the first article in the impeachment against Warren Hastings—the century’s most spectacular proceeding of the kind—charged the defendant with acting “in direct Breach of his Duty, his Trust, and of existing treaties. The articles of impeachment against the Earl of Stratford, the Earl of Oxford, and Lord Halifax similarly charged breach of trust. To be sure, British authors popular in the eighteenth century frequently listed grounds for impeachment in addition to “breach of trust.” This was because some of those grounds were criminal and other terms were available from fiduciary jurisprudence to describe the remainder. In fact, however, the non-criminal charges were invariably what we would think of as breaches of fiduciary duty. For example, Edward Coke’s Institutes (written in the seventeenth century, but the British Empire’s most used legal treatise until Blackstone’s Commentaries appeared in 1765) recited a posthumous list of “high Misdemeanors” against Cardinal Woolsey. William Petyt’s Jus Parliamentarium, published in 1740, reproduced the charges against Woolsey, as did an anonymous author’s 1788 legal treatise entitled The Law of Parliamentary Impeachments. Today we would recognize every item on the list as a breach of fiduciary duty. Petyt also summarized charges in the 1386 impeachment of William de la Pole; he did not enumerate every charge, but rather focused on items congruent with fiduciary law: self-dealing, neglect, misdirection of funds, and misuse of the pardon power. As is now widely acknowledged, fiduciary government (to the extent practicable) was one of the Founders’ core political principles, one of the objectives that informed the drafting and adoption of the Constitution. Fiduciary government was not their only core political value, but it certainly ranked within the top five. Gouveneur Morris added that he “was now sensible of the necessity of impeachments. . . . [The President] may be bribed by a greater interest to betray his trust.” When defending the Constitution in South Carolina, Charles Cotesworth Pinckney pointed out that impeachment would be available for federal officers who “behave amiss, or betray their public trust,” and his ally Edward Rutledge made a similar statement in the same context. On the other hand, Founders made it clear that “high . . . Misdemeanors” were neither politically defined nor limited to criminal offenses. Edmund Randolph affirmed that “No man ever thought of impeaching a man for an opinion,” and the influential Federalist essayist Tench Coxe assumed that an officer could be impeached for conduct not interdicted by the criminal law. We best capture the meaning of the phrase “high . . . Misdemeanors” when we think of it as referring to breaches of fiduciary duty. High misdemeanors are not limited to commission of crimes, but they do not include mere political differences. While violations of the criminal law provide grounds for impeachment, high misdemeanors encompass breaches of the duties of loyalty, good faith, and care, and of the obligations to account and to follow instructions (including the law and Constitution) when administering one’s office. U.S. Const. art. I, §5, cl. 2 (“Each House may . . . with the Concurrence of two thirds, expel a Member.”). If one adopts the founding generation’s own interpretative methods—which seems appropriate when construing the document they drafted and adopted—the legal force of the phrase rests on how the ratifiers understood it or, if the evidence of their understanding is insufficient, on the original public meaning. Robert G. Natelson, The Founders’ Hermeneutic: The Real Original Understanding of Original Intent, 68 Ohio St. L.J. 1239 (2007). Thus, it is inappropriate to rely primarily on the “intent of the framers [drafters]” or to jump to original public meaning before considering evidence of the ratifiers’ understanding. Raoul Berger, Impeachment: The Constitutional Problems 53, 55-56 (1973) (referring to this position). Id. at 53 n.1 (quoting Ford). Somewhat close to this position is Gary L. McDowell, High Crimes and Misdemeanors: Recovering the Intentions of the Founders, 67 Geo. Wash. L. Rev. 626, 649 (1999) (“In the end, the determination of whether presidential misconduct rises to the level of ‘high Crimes and Misdemeanors,’ as used by the Framers, is left to the discretion and deliberation of the House of Representatives.”). In general (as opposed to specifically legal) use during the eighteenth century, the word “misdeameanor” simply meant an offense or ill behavior. Samuel Johnson, A Dictionary of the English Language (8th ed., 1786) (unpaginated) (defining “misdemeanor” as “offense, ill behaviour”); William Perry, The Royal Standard English Dictionary (1st American ed., 1788) (unpaginated) (“offense, ill behaviour”); Thomas Sheridan, A Complete Dictionary of the English Language (2d ed., 1789) (unpaginated) (“a petty offense, ill behaviour”). John O. McGinnis, Impeachment: The Structural Understanding, 67 Geo. Wash. L. Rev. 650, 650 (1999) (“any objective misconduct so serious that it poses an unacceptable risk to the public”). Cass R. Sunstein, Impeaching the President, 147 U. Pa. L. Rev. 279, 285 (1998) (“acts that, whether or not technically illegal, amount to an egregious abuse of office”). See also, e.g., Michael J. Gerhardt, The Lessons of Impeachment History, 67 Geo. Wash. L. Rev. 603, 610 (1999) (“political crimes”); Laurence H. Tribe, Defining High Crimes and Misdemeanors: Basic Principles, 67 Geo. Wash. L. Rev. 712, 718 (1999) (“major offences against our very system of government, or serious abuses of the governmental power”); Jerome S. Sloan & Ira E. Garr, Treason, Bribery, or Other High Crimes and Misdemeanors—A Study of Impeachment, 47 Temple L.Q. 455 (1974) (“political offenses [that] affect the administration of the office”). Berger, supra note 5, at 71-72. E.g. Edwin Brown Firmage, The Law of Presidential Impeachment, 1973 Utah L. Rev. 681, 695-96 (1973) (reciting nineteenth and twentieth century cases); Jerome S. Sloan & Ira E. Garr, Treason, Bribery, or Other High Crimes and Misdemeanors—A Study of Impeachment, 47 Temple L.Q. 413, 430-34 (1974) (same). E.g. Firmage, supra note 10, at 683 (reciting fourteenth and fifteenth century cases); Sloan & Garr, supra note 10, at 427 (1974) (same). Jonathan Turley, Senate Trials and Factional Dispute: Impeachment as a Madisonian Device, 49 Duke L.J. 1, 9 (1999) (noting differences between American views and older English practice). In Stuart England (1603-1689), the House of Commons and House of Lords actually applied different standards. The Commons used impeachment purely as a political device, while the Lords would convict only for infractions of known law. See generally Clayton Roberts, The Law of Impeachment in Stuart England: A Reply to Raoul Berger, 84 Yale L.J. 1419 (1975). E. Mabry Rogers & Stephen B. Young, Public Office as a Public Trust: A Suggestion That Impeachment for High Crimes and Misdemeanors Implies a Fiduciary Standard, 63 Geo. L.J. 1025 (1975). In keeping with the fragmented nature of fiduciary law at the time, other terms were broader, narrower, or the same, as the case demanded: “neglect,” “mis-employment,” “mis-government,” and others. 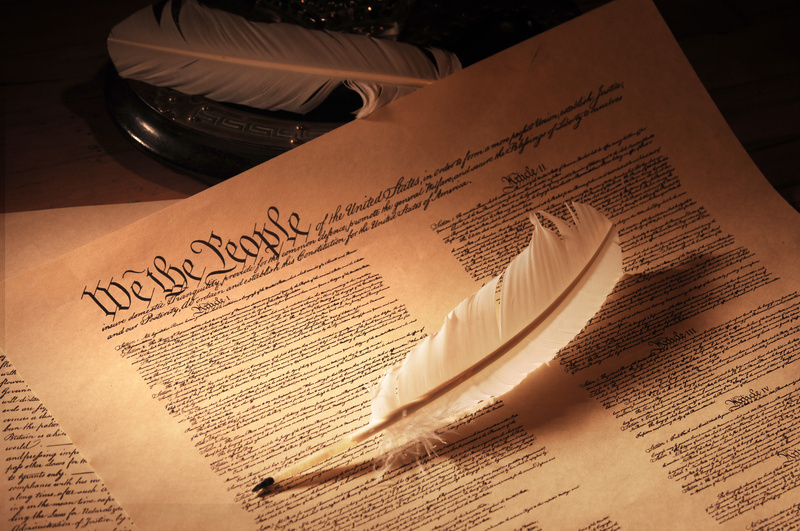 For general overviews of founding-era fiduciary law, see Robert G. Natelson, Judicial Review of Special Interest Spending: The General Welfare Clause and the Fiduciary Law of the Founders, 11 Tex. Rev. L. & Pol. 239 (2006-2007); Gary Lawson, Robert G. Natelson & Guy Seidman, The Fiduciary Foundations of Federal Equal Protection, 94 B.U. L. Rev. 415 (2014). See, e.g., Abstract of the Articles of Charge, Answer, and Evidence, upon the Impeachment of Warren Hastings, Esq. 21 & 69 (1788), available at Eighteenth Century Collections Online, https://quod.lib.umich.edu/e/ecco/index.html. 20 J. House Lords, Sept. 1, 1715, available at British History Online http://www.british-history.ac.uk/lords-jrnl/vol20/pp191-197#h3-0013 (reproducing the articles of impeachment of the Earl of Strafford, accusing him of “Breach of . . . several Trusts”). Id., Aug. 2, 1715, available at http://www.british-history.ac.uk/lords-jrnl/vol20/pp136-144#h3-0008 (setting forth the articles of impeachment of the Earl of Oxford, accusing him of several breaches of trust). Id., Jun. 14, 1701, available at http://www.british-history.ac.uk/lords-jrnl/vol16/pp743-747#h3-0005 (setting forth the articles of impeachment of Lord Halifax, and also accusing him of breach of trust). 4 William Blackstone, Commentaries *121 (emphasis added). 2 Richard Wooddeson, A Systematical View of the Laws of England 601-02 (1792). 4 Coke, Institutes, at 89-95. For the list, see infra note 22. That this posthumous proceeding was thought of as the equivalent of impeachment is confirmed in Anonymous (“A Barrister at Law”), The Law of Parliamentary Impeachments 6 (1788) (describing this proceeding as an impeachment). William Petyt, Jus Parliamentarium: or the Antient Power, Jurisdiction, Rights, Liberties, and Privileges of the Most High Court of Parliament 212-22 (1741) (listing these charges: obtaining legatine authority from the Pope, id. at 213; making treaties without the king’s knowledge, id. ; sending out letters in the king’s name without permission, id. ; endangering the health of the king, id. at 214; limiting access to the king, id. at 214-15; self-dealing and excessive impositions on religious institutions, id. at 215; sowing dissension among nobles, id. at 219; and “by his Cruelty, Iniquity, Affection, and Partiality, ha[ving] subverted the due Course and Order of your Grace’s Laws, to the undoing of a great Number of [the king’s] loving People,” id. at 222) (emphasis added). Parliamentary Impeachments, supra note 21, at 6-12. The actual grounds were more extensive. Berger, supra note 5, at 12-13 (listing grounds). Michael de la Pole was the Earl of Suffolk. Id. at 12. Petyt, supra note 22, at 194. 4 John Comyns, A Digest of the Laws of England 368-69 (1780) This digest was available in America during the founding era. Berger, supra note 5, at 75, n. 112. 4 Comyns, supra note 26, at 368-69. From the above instances it will appear that the Causes of Impeachment arise, not only from offenses undefined by the Common Law, or any Act of Parliament, and which therefore would remain unpunished, unless this extraordinary mode of proceeding were adopted; and that, either on the account of the magnitude of the offenses, the exalted quality and situation of the offender, or otherwise, for the sake of making a great and public example. Parliamentary Impeachments, supra note 21, at 12-13 (italics in original). When considered in historical context, apparent policy differences often turn out to be fiduciary violations. For example, a charge such as advising “Toleration of Papists” and “entic[ing] the King to Popery,” 4 Comyns, supra note 26, at 368, undermined the established state religion and, therefore, existing law. Cf. Berger, supra note 5, at 97 (pointing out that, while politics might motivate an impeachment, that impeachment still had to proceed within the perimeters of “high Crimes and Misdemeanors”). Parliamentary Impeachments, supra note 21, at 6. 2 Wooddeson, supra note 20, at 620. This was not an original observation. Giles Jacob, A New Law-Dictionary (10th ed. 1783) (unpaginated) (stating, in the course of defining impeachment, “An impeachment . . . is the prosecution of a known and established law.”). E.g., Gary Lawson & Guy Seidman, “A Great Power of Attorney”: Understanding the Fiduciary Constitution (2017); Zephyr Teachout, The Anti-Corruption Principle, 94 Cornell L. Rev. 341 (2009). Professors Lawson, Seidman, and Teachout all grant me some credit for this realization, first stated in Robert G. Natelson, The Constitution and the Public Trust, 52 Buffalo L. Rev. 1077 (2004). Robert G. Natelson, The Original Meaning of “Emoluments” in the Constitution, 52 Ga. L. Rev. 1 (2017) (explaining that the Founders balanced five core values as they formed the new government under the Constitution: republicanism, decentralization, liberty, effective government, and fiduciary government). 2 Records of the Federal Convention at 65-66 [hereinafter Farrand] (italics added). Id. at 68 (italics added). For analogous formulations, see 1 Farrand, supra note 35, at 292 (quoting a Virginia Plan provision that “The Governour Senators and all officers of the United States to be liable to impeachment for mal-- and corrupt conduct; and upon conviction to be removed from office, & disqualified for holding any place of trust or profit”); id. at 78 (reporting approval of motion by Hugh Williamson that the executive be “removable on impeachment and conviction of mal-practice or neglect of duty”); id. at 337 & 344 (reporting the convention’s resolutions submitted to the Committee of Detail providing for “impeachment and removal from office for neglect of duty, malversation, or corruption”). 4 The Debates in the Several State Conventions on the Adoption of the Federal Constitution 281 (Jonathan Elliot ed., 2d ed. 1901) [hereinafter Elliot’s Debates] (italics added). Id. at 276 (reporting that Edward Rutledge said, “If the President or the senators abused their trust, they were liable to impeachment and punishment; and the fewer that were concerned in the abuse of the trust, the more certain would be the punishment.”). 3 Elliot’s Debates, supra note 37, at 369 (quoting Edmund Randolph connecting impeachment to dishonesty); id. at 486 (quoting him connecting impeachment to receipt of emoluments from foreign powers—i.e., disloyalty and self-dealing). Id. at 17 (quoting George Nicholas connecting impeachment to “mal-administration”); id. at 506 (quoting him connecting impeachment to violating the interest of the nation); id. at 516 (quoting James Madison to the same effect). Id. at 398 (quoting Patrick Henry connecting impeachment to “violation of duty”). See also id. at 500 (quoting James Madison connecting impeachment to the President calling Senators from only a few states—i.e., partiality); id. at 512 (quoting Patrick Henry connecting impeachment to actions “derogatory to the honor or interest of their country”); id. at 506 (quoting George Nicholas comparing impeachment under the Constitution to impeachment in England to the extent that officials can be impeached for entering treaties “judged to derogate from the honor and interest of the nation”); Paul Leicester Ford, Pamphlets on The Constitution of The United States 51 n.* (1888) (quoting Federalist Noah Webster recommending impeachment as the appropriate remedy should federal officials exceed their authority); Berger, supra note 5, at 89 (collecting other examples). Randolph, then governor of Virginia, previously had served as state attorney general and had enjoyed a very large private practice. He served at the federal convention, in which he was the principal spokesman for the Virginia Plan. Eventually, he was to be the first Attorney General of the United States and the second Secretary of State. After resigning as Secretary of State, he returned to private practice. See generally John J. Reardon, Edmund Randolph: A Biography (1974). 3 Elliot’s Debates, supra note 37, at 401. Tench Coxe, “An American Citizen,” reprinted in 13 The Documentary History of the Ratification of the Constitution 431, 434 (Merrill Jensen, John P. Kaminski & Gaspare J. Saladino eds., 1976-2017) (stating “[i]f the nature of his offence, besides its danger to his country, should be criminal in itself—should involve a charge of fraud, murder or treason—he may be tried for such crime”).